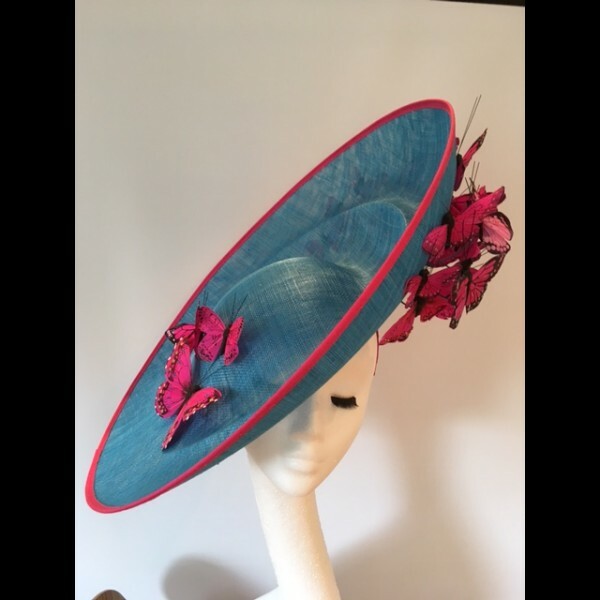 A statement large sized saucer headpiece in bright turquoise sinamay with hot pink butterflies..and a few pastel pink too ! This headpiece is available to hire for GBP 60.00. 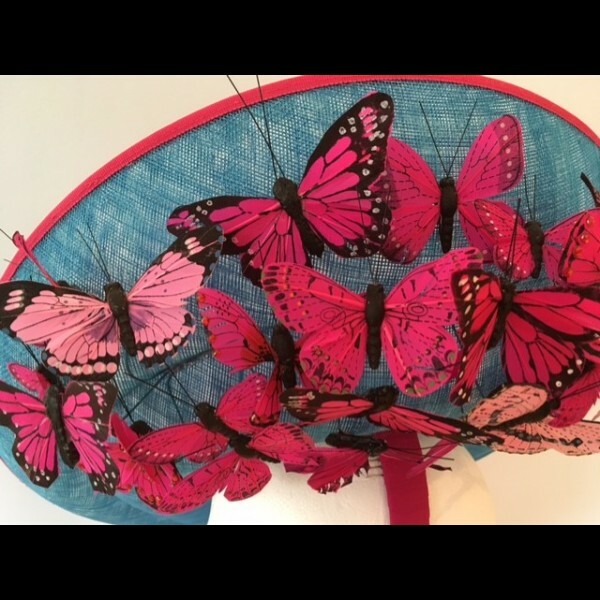 A statement large sized saucer headpiece in bright turquoise sinamay, hot pink petersham trim and stunning hot pink butterflies.....and a few pastel pink. Mounted on a silk wrapped hairband with two combs for secutity. 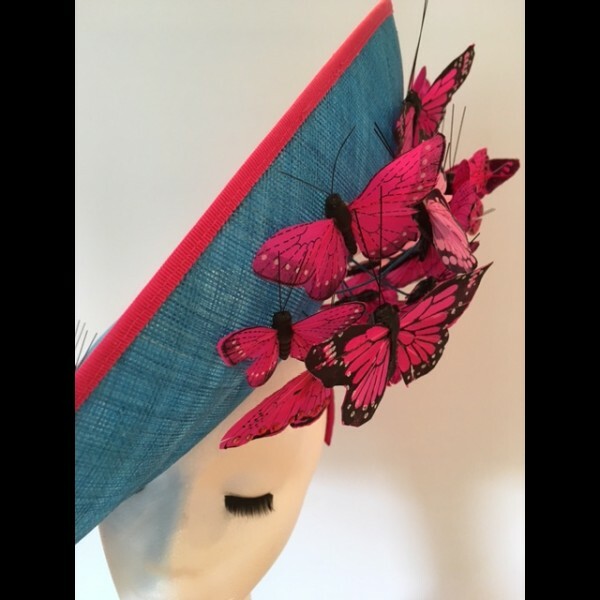 This headpiece is available to hire for GBP 60.00. The purchase price of this style is GBP 285.00. 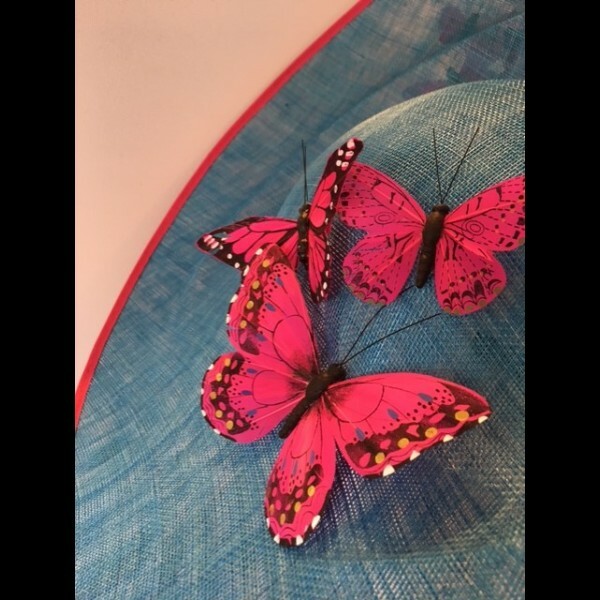 Please contact us if you would like this headpiece created in alternative colours.